On Sale Now! Save 7% on the ** Tyvek Jumbo Mailer, Side Seam, 18 x 23, White, 25/Box ** by Survivor Marine Products at KBFS. Hurry! Limited time offer. Offer valid only while supplies last. 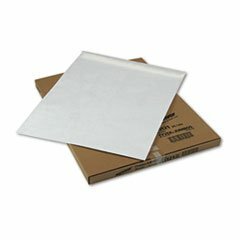 ** Lightweight, moisture- and rip-resistant DuPontTM Tyvek® mailer helps to reduce shipping costs. Clean, crisp look conveys a professional image. View More In Media Mailers. If you have any questions about this product by Survivor Marine Products, contact us by completing and submitting the form below. If you are looking for a specif part number, please include it with your message.